In Agra, 43 people died following the intense dust storm. In Rajasthan, 36 people died, Bharatpur was the worst affected area. New Delhi: A dust storm, accompanied by rain, wreaked havoc across Uttar Pradesh and Rajasthan yesterday, killing more than 100 people, uprooting trees and flattening houses. In Uttar Pradesh, 73 people died -- 43 of them in Agra alone. In neighbouring Rajasthan, the figure was 36. The storm swept across Delhi too, but no loss or damages have been reported from the national capital. Prime Minister Narendra Modi tweeted his condolences and said the states have been offered help to deal with the crisis. Agra bore the brunt of the storm, with 43 people dying in the district. Bijnore reported three deaths and Saharanpur two, officials said. In eastern Rajasthan, where 36 people died, Alwar, Dholpur and Bharatpur were the worst-affected districts. The maximum damage was reported from Bharatpur district, where 19 people died. At least 100 people have been injured across Rajasthan. The intense storm and lightning uprooted trees, snapped power cables and led to the collapse of many thatched houses. Most of the people who died, were sleeping when their roofs collapsed in the storm. Dust storm and heavy rains hit Delhi as well on Wednesday evening. The sudden gust of wind lasted for not more than a few minutes, but it was enough to derail airport operations. Fifteen flights, including two international flights, had to be diverted. "Saddened by the loss of lives due to dust storms in various parts of India. Condolences to the bereaved families. May the injured recover soon. 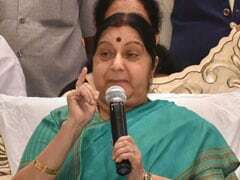 Have asked officials to coordinate with the respective state governments and work towards assisting those who have been affected," Prime Minister Narendra Modi tweeted. The storm hit western Uttar Pradesh after 6.30 pm. While it was not of very high intensity, local factors played a role in the impact, officials said. "It was quite intense for Saharanpur, even though the damage there was relatively less than other areas," Mr Kumar said. Uttar Pradesh Chief Minister Yogi Adityanath has asked officers to personally monitor the relief work and provide medical aid to affected. He also warned that no laxity will be tolerated on part of the officials. 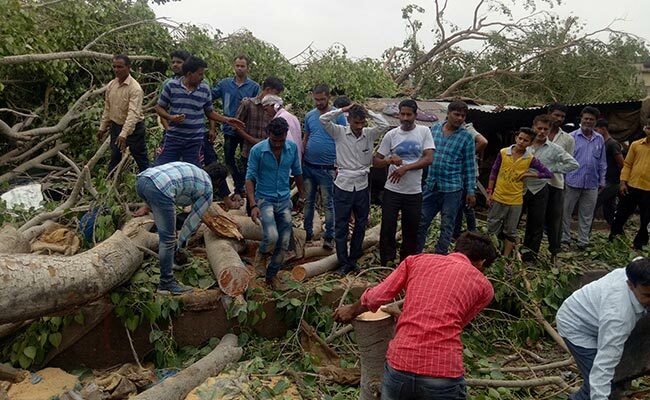 Rajasthan chief minister Vasundhara Raje said the storm has been declared a disaster, and relief and rescue operations are being carried out in all three districts. The chief ministers of both states have announced compensation of up to Rs.4 lakh to the families of the deceased and Rs.50,000 for each of the injured.